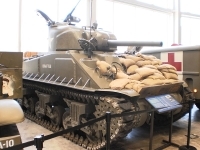 Founded in 2000 by historian and author Dr Stephen Ambrose, the unique D-Day National World War II Museum is as a highlight of any New Orleans sightseeing tour. Situated in New Orleans' Warehouse District, the museum depicts the June 6, 1944 invasion of Normandy, the Home Front during World War II, and the D-Day Invasions in the Pacific. Exhibits include text panels, artefacts, and personal account stations where visitors can listen to the stories of war veterans. A panorama exhibit recreates a Normandy beach landing and there are also regular film shows. This is a modern, imaginatively curated museum which brings the war to life for visitors. Opening times: Open daily 9am-5pm. Closed Mardi Gras Day, Thanksgiving Day, Christmas Eve and Christmas Day. Admission: Museum only: $27 adults, $17.50 student. Concessions and combo tickets available.